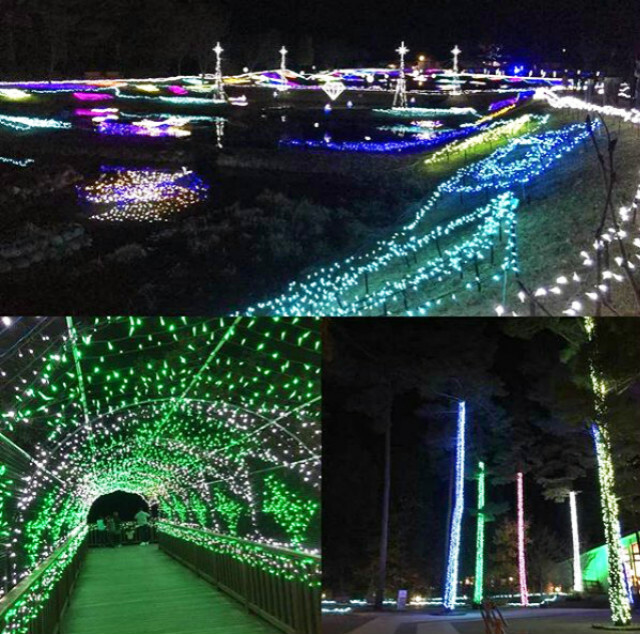 The Alps Azumino National Government Park is responsible for this special display.This fascinating illumination display is surrounded by Azumino’s nature. You could get in close contact with the Alps.You can also experience the starry sky from the park’s observation deck. Don’t miss out on the one of a kind lantern display at Alps Azumino National Government Park. 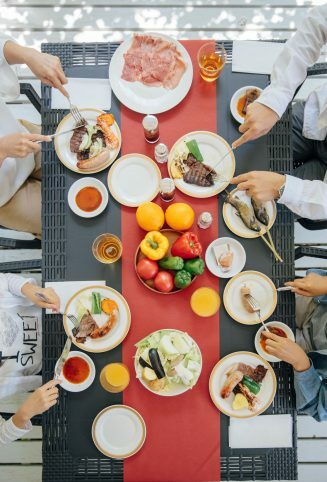 ★Enjoy the comfortable weather at Azumino. Light breeze and lots of sunshine during the summer. Walk on the park’s stone road. Don’t forget to visit the forest at Azumino. ★Azumino’s resort town is renowned around Japan for its pure water originated from the mountain’s snow. A good example is 「mizutamarinoniwa」a miraculous place abundant in crystal pure water. ★In addition to the lantern display you can also visit the National Government Ark Observatory, the located within the park’s premises. Enjoy the special Azumino summer. —Izumigo’s Ambient Azumino Hotel is located 16 mins by car from the park area. ※shuttle bus service (from hotel to Alps Azumino National Government Park), reservation required. —Forest illumination’s date:11/8/2018~20/8/2018　18:00~21:00 ※Rain or Shine. Izu’s Granpal Amusement Park’s located in Shizuoka. With a capacity for 114000 people. The park has over a million light bulbs. You can’t find a place like it anywhere around. Some lanterns resemble western and Japanese dessert dishes. Some of them are shaped as animals in 3D. You can also enjoy a magnificent laser musical show. This is the number one Japanese illumination display. ★Cross the rainbow gates for an out of this world experience. In the middle of the park, you can enjoy different lanterns with different themes. In the same place, you also can appreciate two different light shows at once. The music light show starts every 10 minutes. The lights are keep flickering giving the impression of a painting made of lights. The full color laser show is particularly noteworthy.It starts every 30 minutes. The full color laser projected on white smoke, presents a visual illusion very much like the northern lights. The wind changes the white smoke ,turning it into many different shapes.The show will change every time you’ll see it. ★Explore a world made out of sweets, as if you were living in Lilliput. Everywhere is full of freshness. In 2016 a flower patch, recognized as a world record, was built within the premises.You can witness the world record flower measuring over 2 meters in diameter.Discover the big butterfly and bird that joins it. Izu Granpal Amusement park also has an observatory deck. Form this deck you can see clearly when the Music light show starts in the middle of the park. This is the only place where you can see all the light painting. 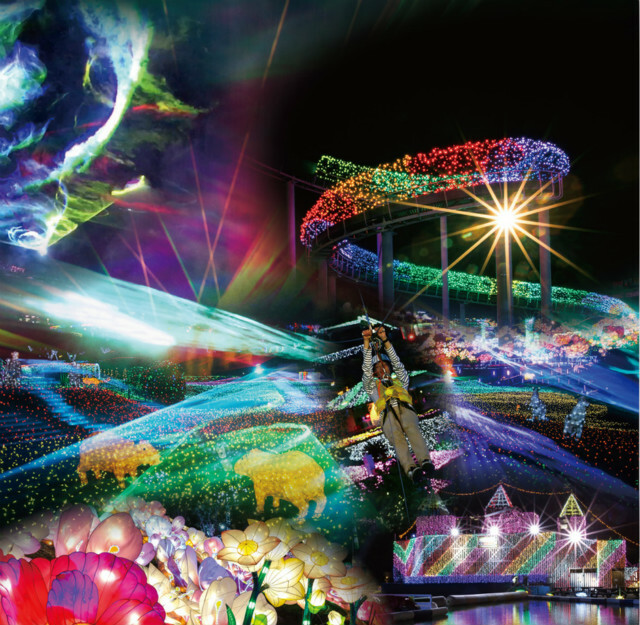 ①Japan’s No.1 illumination display also has a rainbow slide, about 2 meters higher. Use the special skidding it will make you feel like you are flying. ②In addition there’s a Mechadroid experience. Water Walking Ball, and 3D light labyrinth experiences. ③If you are in love with someone or visiting us for you honeymoon.We recommend the famous love shrine in the park. Make a wish then lock a padlock on the blessing wall. Japanese No.1 illumination plus a romantic atmosphere. It will make you love stronger. 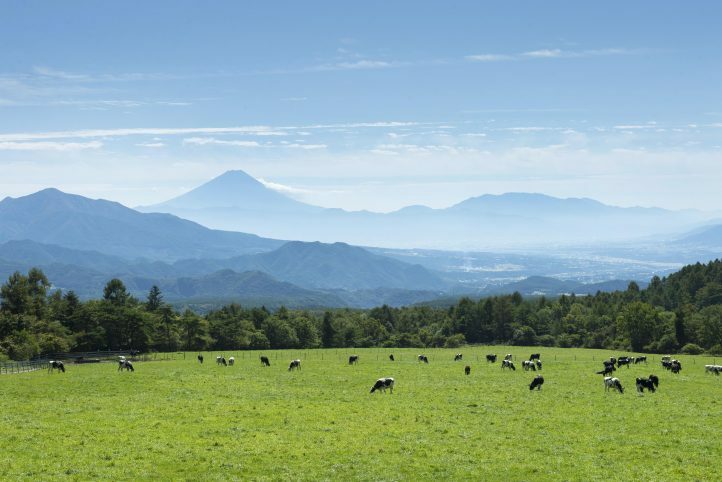 —Izumigo’s Ambient Izukogen Hotel is located 4 minutes by car. Only a 30 minutes walk. ※shuttle bus service (from hotel to Izu Granpal Amusement Park), reservation required. —Forest illumination’s date:6/2018~8/2018 18:30~22:00 ※Rain or Shine.